An aptly named art gallery, Art Xchange serves as a platform for art interaction between regional and international artists. Similarities and distinctions are drawn as artworks from different roots and backgrounds are pompously displayed under one roof. Conveniently located within Clarke Quay, the art gallery is easily accessible to both tourists and locals. 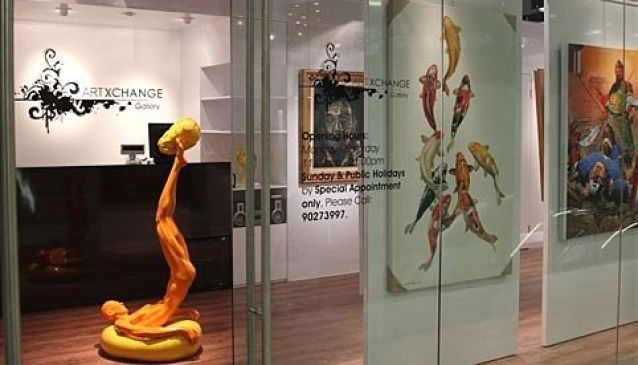 Art Xchange is undeniably an art galore for art devotees as they can admire treasured works of artists from Indonesia, Vietnam, India, Canada, Columbia, France and USA. Amongst its standout exhibitions held in the past was the 'Real/Unreal? - Photorealist Art Exhibition', where the fine line between fiction and reality gets blurred.